Barovick, Harriet (August 27, 2001). “Relaxing in the Labyrinth.” Time-Family Edition 158(8): F23. A good overview of labyrinth use. Clear and inviting. Brandstatter, Natasha. 2008. “Dancing Through Time: The Evolution of the Labyrinth into a Symbole for Pilgrimage.” Caerdroia 37: 18-30. Burton-Christie, Douglas. “Into the Labyrinth: Walking the Way of Wisdom.” Weavings: A Journal of the Christian Spiritual Life XII, no. 4 (July/August 1997): 20-28. Cannota, Judy. “The Labyrinth: Praying Psalm 139.” Weavings XVII, no. 3 (2003). A wonderful article in which the author moves through Psalm 139 and relates the concepts to praying the labyrinth. JKHG. Coffey, Kathy (Jan.-Feb. 1995). “Labyrinth Prayer.” Praying(64): 20. “Modern people reclaiming this tradition are discovering in the labyrinth’s archetypal paths the sacred nature of their daily steps.” Page 20. Critchlow, Keith, Jane Carroll, and Llewylyn Vaughn Lee. “Chartres Maze: A Model of the Universe?” Architectural Association Quarterly 5, (1973): 11-20. Describes the cosmic correlations of the medieval pavement maze in Chartres Cathedral. Publisher. Diehl, Huston. 1986. “Into the Maze of Selt: The Protestant Transformation of the Image of the Labyrinth.” Journal of Medieval and Renaissance Studies no. 16 (2):281-298. Gertz, Kathryn Roes (2000). “Meditation in Motion.” Walk Off the Weight 26(7): 89-90. James, John. “The Mystery of the Great Labyrinth: Chartres Cathedral.” Studies in Comparative Religion 11, (1977): 92-115. 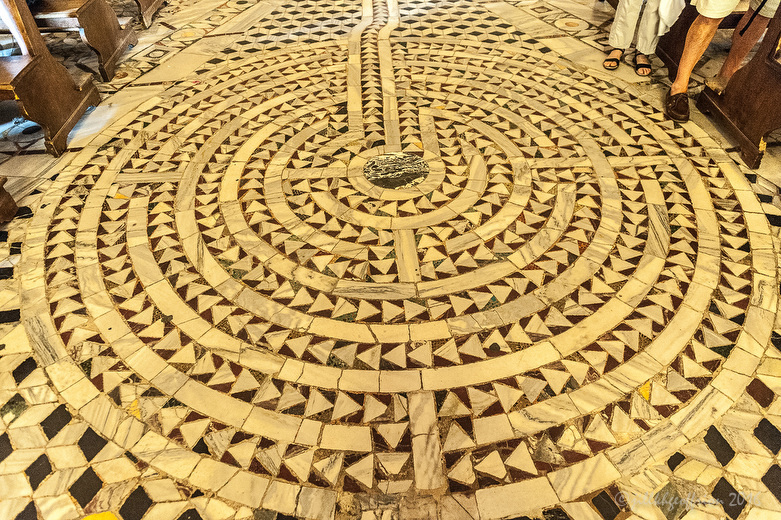 A helpful article exploring the geometric and other aspects of the Chartres Cathedral labyrinth. Kuipers, Willem. “Cadence Characterises Labyrinths.” Caerdroia, 2000, 33-40. “In this article the concept of the cadence of a labyrinth is introduced, the rhythmic variation of the visual distance to the centre, which characterizes the labyrinth and part of its effect. A graphical representation of the cadence of the Classical and Chartres labyrinths shows their elegance and power. Their cadence is compared to similar labyrinths and its attractiveness and effectiveness is discussed.” Page 33. Laishley, Barabara. The Labyrinth as Ritual Action: An Examination of Efficacy, Intent and Neurological Function. American Academy of Religion, San Francisco: Unpublished paper. November 1997. Lindsay, Tamar (1997). “Labyrinth Structures: Four Walls, Back Doors, and Some Others.” Caerdroia 28: 43-48. “The fascination with the eight-wall classic labyrinth often leads labyrinth students to neglect the simpler forms. The simpler forms also repay study. The four-wall labyrinths contain information that may enlighten us about aspects of the larger types.” 43. Mariscotti, Janine. “The Labyrinth: Innovative Intervention for Clients and Professionals.” Social Work Today (Social Work Today 2003): www..socialworktoday.com/swt_coverstory.htm. A succinct well-written article about the use of labyrinths in the social work field. JKHG. O’Roark, Mary Ann (September, 1999). “A Walk Through Time.” Guideposts 54(7): 40-43. Personal account of Chartres Labyrinth Experience. Thompkins, Elizabeth. “Body Prayer! Walking the Labyrinth.” Grace: A Companion for Women on Their Spiritual Journey 2(2): 23-26, March/April 1999. Describes a wedding in a labyrinth. Also a basic, broad introduction to the labyrinth. Warren, Lee (Feb. 26, 2001). “The Sacred Journey. A Personal Encounter with the Labyrinth of Chartres.” Virginia Advocate 169(3): 5-7. 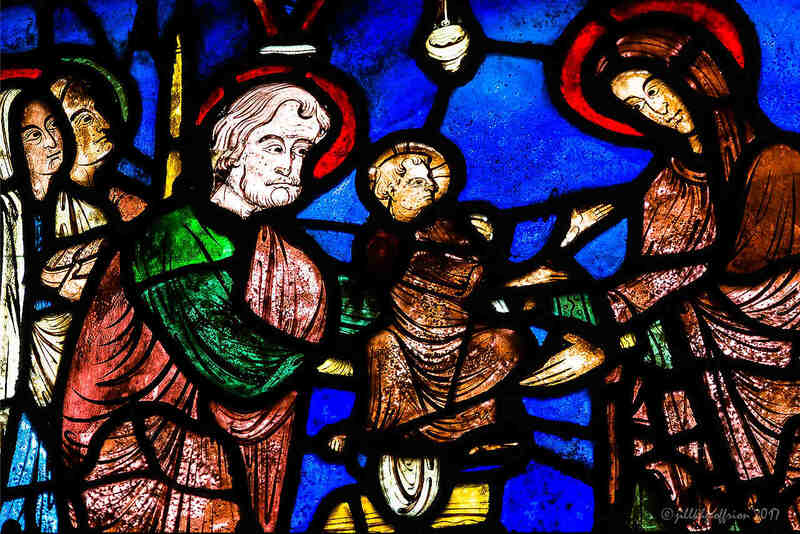 Gives a wonderful summary of a pilgrimage to Chartres Cathedral made with Lauren Artress and Veriditas. Westbrook, Walt (Feb. 26, 2001). “The Labyrinth: A Pilgrimage Toward the Sacred.” Virginia Advocate 169(3): 3. Great one page article about Christian use of the labyrinth.